Everybody knows that the key to making your UCAS application stand out is having unique, relevant, impressive work experience. And what could be more impressive for a prospective psychology student to have experienced than a psychology research office at UCL? After applying through the in2scienceUK scheme (which I thoroughly reccommend) I was delighted to discover that I would spend two weeks shadowing a pHD student, who researches motivated behaviour in adolescents. This was clearly a very interesting and relevant topic to me, so I commuted to the university with high expectations and enthusiasm. Within a very short time, I felt comfortable and settled, which can be attributed to the welcoming attitute of everybody I spoke to in the office and around the building. My supervisor Lucia accompanied me on a tour around the main university campus, showing me the Quad and the science library. This gave me an insight into the generally relaxed atmosphere of UCL, and as a result I have decided to apply there in the autumn. I was also impressed to hear that UCL was the first university to accept women and foreign students – it was great to be in a place that had pioneered such notions that we take for granted today. Throughout the course of my time in the office I was able to speak to an array of academics, and was encouraged to ask them questions as frequently as possible. This has provided me with a newfound appreciation of the different paths into psychological research, and has reassured me that research is an attainable career for me. Along with giving me a general feel of what psychological research is like, I was also fortunate enough to engage in activities that would otherwise be inaccessible to me. For example, I spent a day at the Science museum, learning about how scientists engage with the public and how psychologists recruit participants for experiments. Similarly, I myself particpated in an experiment , which involved looking at two cartoon people, and judging which held their gaze for the longest. I was also set the task of creating, distributing and analysing my own online survey, focusing on the importance of goals. Doing all these things taught me several methods psychologists use to learn more about the way the brain works. Furthermore, it highlighted the significance of ethics, cost and collaboration with other scientists when conducting research. Another aspect of research I enjoyed learning about was the different types of equipment used to investigate the structure and function of the brain. 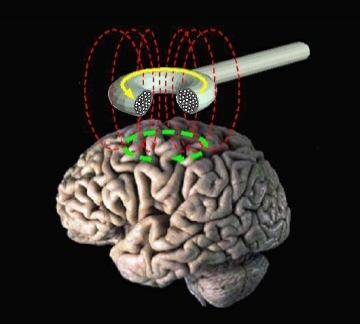 I was shown how TMS (transcranial magnetic stimulation) uses an electromagnet to stimulate electrical activity in certain parts of the brain, to see if it disrupts the subjects ability to complete a task. This allows psychologists to discover causal links between certain areas of the brain and a particular cognitive function. This showed me just how vital psychological research is to understanding ourselves and the things around us. Similarly, witnessing the use of an MRI (magnetic resonance imaging) scanner demonstrated how scientists are able to link the structure of the brain with function. Overall, I foundmy time shadowing Lucia deeply enjoyable and inspiring. I was able to experience first hand the ins and outs of research, and was given invaluable advice in terms of my UCAS application. I can now pursue a career in psychology in the knowledge that it is not only an interesting subject, but important and rewarding. Lucias’ welcoming attitude and continued hospitality meant that my two week placement by far exceeded my expectations. I can only hope that I will one day be back there as a qualified researcher myself!